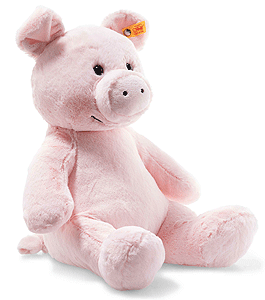 Oggie Pig is hand made in the finest pink cuddly soft plush. 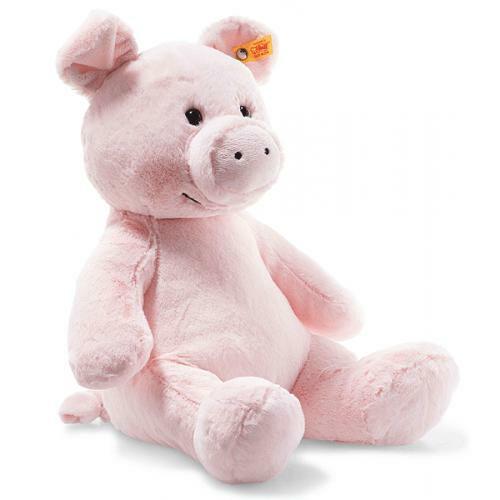 The 38 cm tall Soft Cuddly Friends Oggie pig has soft and cuddly pink plush fur, a cute curly tail, a lovingly embroidered, black mouth and embroidered, black nostrils on his cute snout. Bean bags in his four feet and bottom give him stability so that he sits upright. His inner ears and snout are made of the finest material mix. A beautiful gift idea and excellent lucky charm.